At some point in our lives we are all faced with being on the edge, whether that be literally or metaphorically. For the dare devils among us, pursuing that adrenaline rush can often involve scaling great heights, balancing precariously on the edge of a deep precipice, or finding the courage to leap off the ledge. However, being on the edge can also be an emotional reaction. Sometimes life can throw a curve ball leading to feelings of anxiety, torment or despair. However you decided to interpret this theme, we’re asked to receive the most creative and inspiring images that you had to offer. I first picked up a camera more years ago than I care to remember to photograph aircraft on my regular ‘spotting’ days at Birmingham airport. To this day I still photograph aircraft but as a lifelong naturalist it wasn’t too long before I turned my attentions to the wonderful array of wildlife subjects and the diversity and challenges of the natural world and wildlife photography. Even though I have a great fondness for birds, I don’t specialise within the genre of wildlife photography and tend to turn my hand to whatever’s around at the time, this not only offers a greater variety of available subject matter but also leads to a greater degree of skills acquired to be able to photograph them and Birds, Mammals and a whole variety of macro subjects all now come within the scope of the lens. After years in the aviation industry and as a serious amateur I’m now a professional wildlife photographer based in Norfolk, England and organise and lead regular photographic tours to the Falkland Islands and various North American destinations. I hold the distinctions of Fellow of the Royal Photographic Society (FRPS) and EFIAP & BPE5. 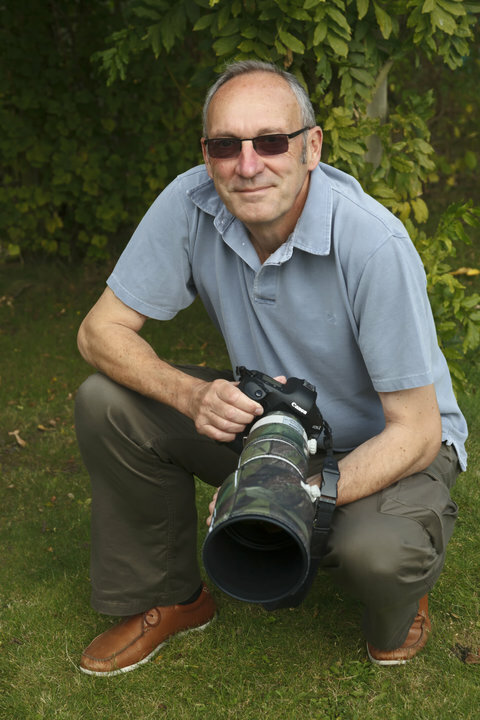 And currently serve as the ‘Chair’of the prestigious RPS Associateship & Fellowship distinctions panel and am also an ex-chair of the RPS Nature Group, the body responsible for producing and issuing the nature photographers code of practise. Excellent photo-journalism. This image captures the theme superbly and not only shows the results of living life on the edge but also the dangers and conditions encountered by the rescue teams working on the edge. On the edge in every way. A nicely seen and captured natural history image. There must be an easier way to change trains! Leaving the edge of safety as passengers leap from one train to another. A simple but effective image showing you can still achieve worthwhile images on dull, wet days.